I decided to take a short break from fiction to catch up on a current event I didn’t know a lot about. Of course, I had heard of the Cleveland abductions and watched a couple of interviews with Michelle Knight, one of the survivors, but I didn’t understand the case in its entirety. 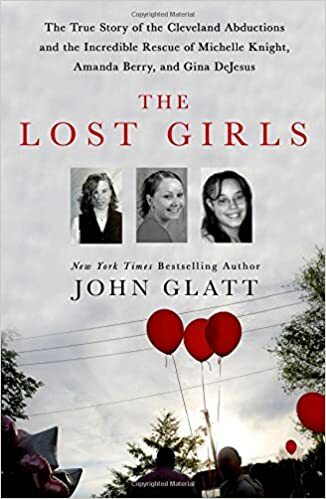 In this book by investigative journalist, John Glatt, I certainly got the full story: from the tormented childhood of abductor, Ariel Castro, to the lives of the three girls that were kidnapped; from the horrors they endured, to the amazing support they were greeted with after their escape. This book is obviously not for the faint of heart—it is upsetting to read about these poor girls and the decade of terror Castro put them through. However, reading about their strength and will to survive, along with their amazing recoveries definitely made it worth it. If you finish this book and want to read more about this case, the library also has Michelle Knight’s memoir, Finding Me: A Decade of Darkness, a Life Reclaimed. Also, Amanda Berry and Gina DeJesus’s story, Hope: A Memoir of Survival in Cleveland is currently on order for our library.